Apparently (or not so apparently), being signed into Yahoo! does not sign one into Yahoo! Groups. (It used to.) 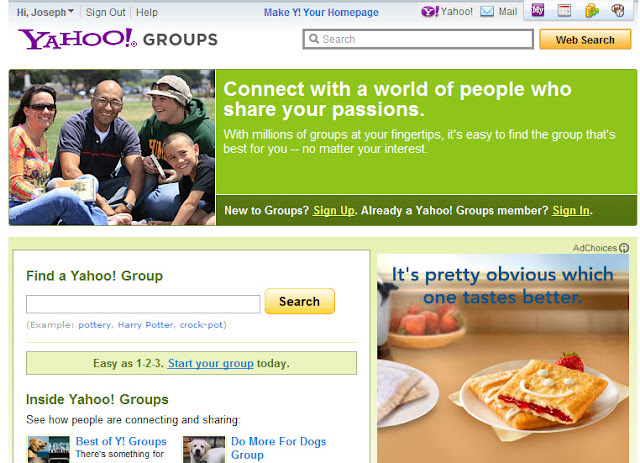 This page displays the header Yahoo! sites display when I am logged-in. It greets me by name. It even offers a "Sign Out" option. However, it doesn't display the list of my Yahoo! Groups. To view my groups, I have to sign in again.